The lack of rain in the lentil production areas in India has stressed the growing conditions and yields are once again expected to meet expectations. However, there has been a glimmer of hope as the temperatures cooled somewhat and some much needed rain has been timely in January. The provinces of Madhya Pradesh and Uttar Pradesh where most of lentils are produced have benefited from these recent developments. Drought conditions around in the major global production regions has been the main driver of setting record high prices for pulses. 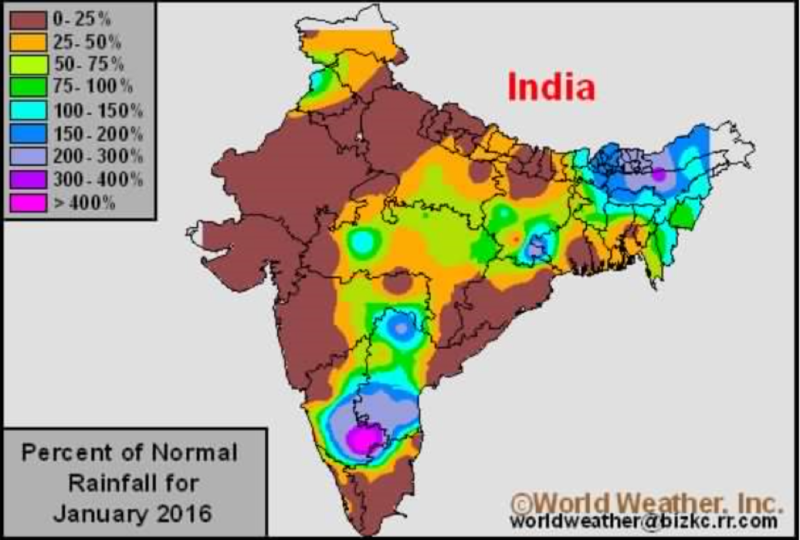 India was especially hard hit as the drought condition reduced the yields on pulses. The red lentil crop yields last year were poor and this caused a late April 2015 spring rally in prices for red lentils. Canadian and USA growers responded by increasing seed acres but drought conditions prevented us from increasing the supply sufficiently to meet the un-usually high demand from India. 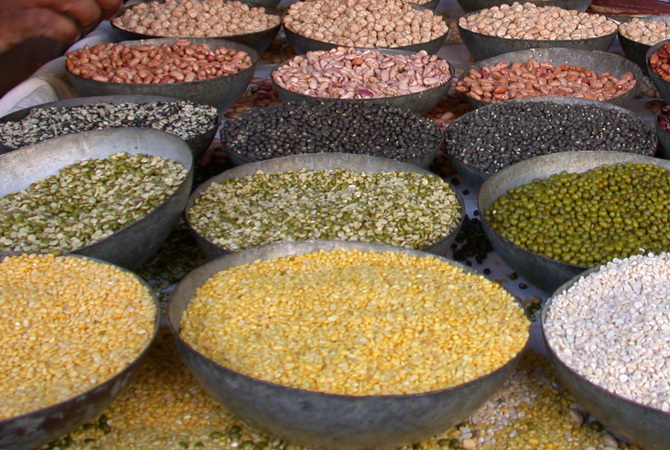 The pigeon pea crop in India and Burma was also failed to produce sufficient stocks to meet demand. As an alternative, Canadian grown Large Green Lentils were substituted for pigeon peas. This unprecedented demand exhausted green lentil supplies that resulted in driving prices for green lentils to historically high record prices. These high prices are frustrating regular international demand from South America, Algeria, Europe, etc. as there are limited stocks available. Total remaining stocks of lentils is only 200,000 MT. The industry considers the 100,000 MT to be a virtual “sold out” condition. Growers are responding to these high prices and have been buying up remaining stocks of lentils for seed. Canada will likely increase seeded acres this year from 3.8 million to a record 5.0 million acres. At first glance, the expectation would mean an oversupply of lentils but that will not be the case. There are many acres that will be planted in fringe growing regions that will likely produce less than normal yield and quality. For example, seed in moving into non-traditional lentil growing areas as far east as Winnipeg, north to Prince Albert, West to Medicine Hat, and as far south a Montana and North Dakota. The weather forecast is for a warm dry winter that will likely mean seeding will begin in early April in the south-west regions of this production area. India has set a new import record this year by increasing imports of lentils from 193,000 MT in 2014 to 511,000 MT in 2015. With the 2016 Rabi harvest set to fail again, we can expect a very similar import program of lentils in 2016, especially if prices that are more in line with long term values.